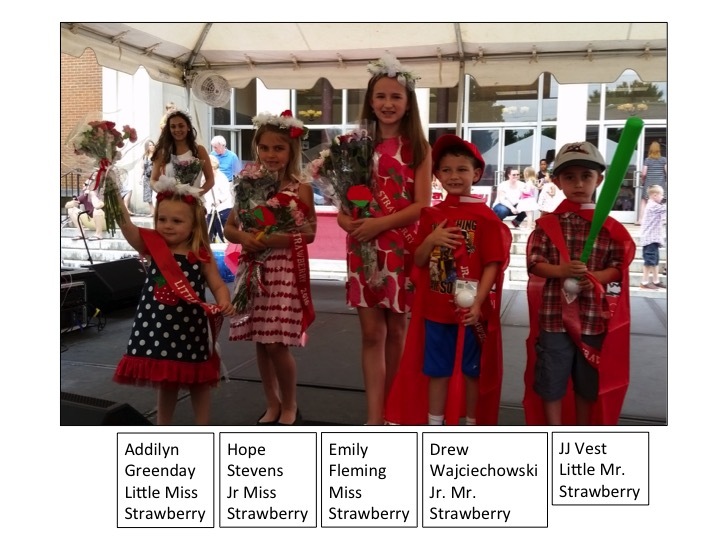 The Strawberry Faire is looking for young ladies and gentlemen to participate in our annual Miss Strawberry and Mister Strawberry Pageants, a much loved Faire tradition! 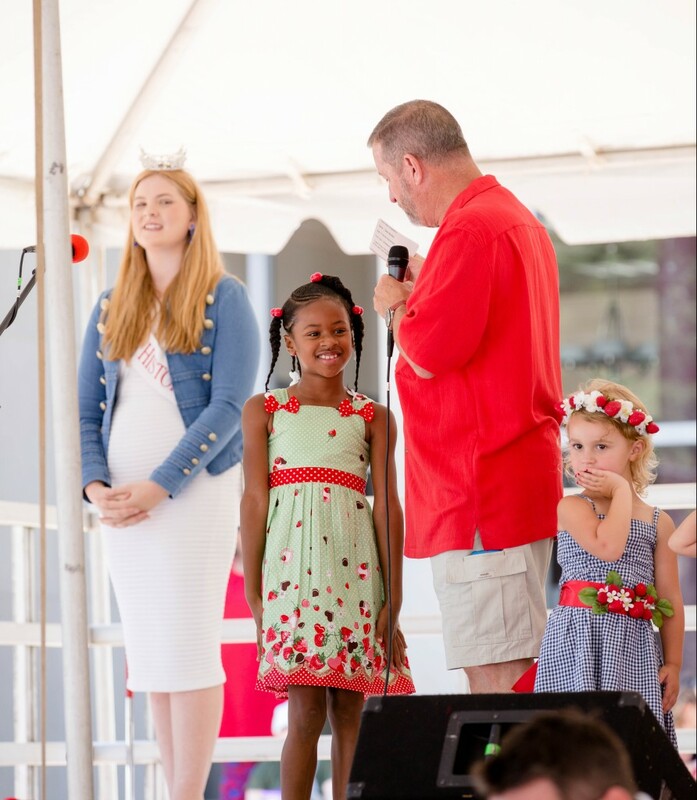 This is a free, non-competitive pageant that offers our participants a fun venue to creatively express their celebration of strawberries. Each participant is announced as they proudly strut across our stage. 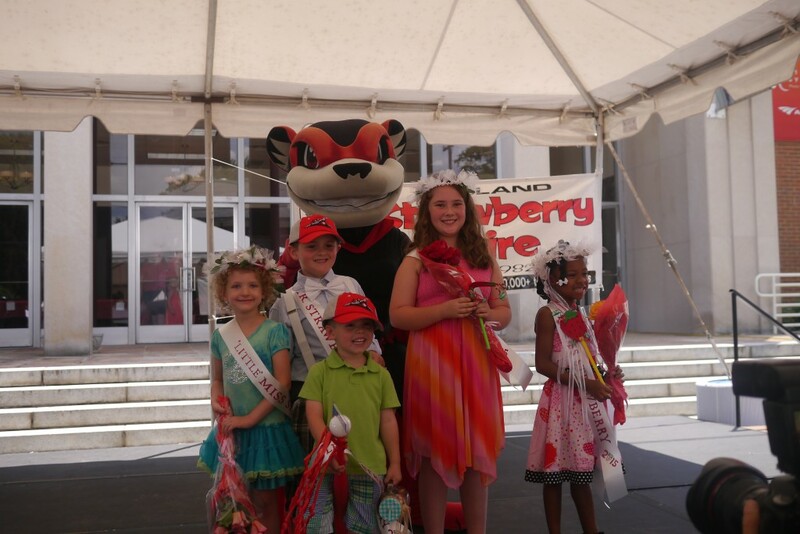 Our winners are selected as their names are drawn from a strawberry basket. 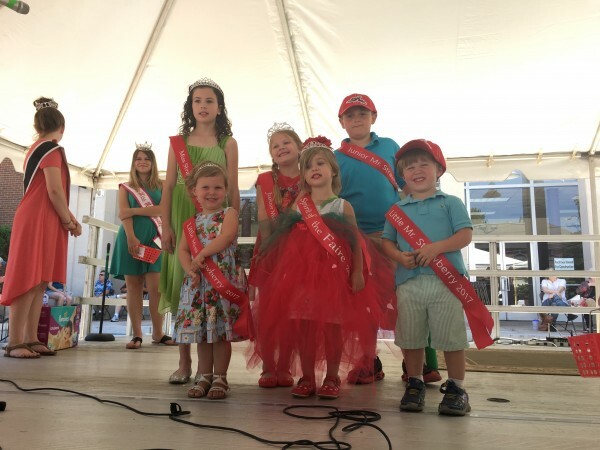 The pageant is scheduled for 11:45am on the day of the Faire on an outside stage by the Fountain Plaza on Henry Street. Details will be communicated when registration is received. If you do not receive a notice that we have received your registration, please try again. 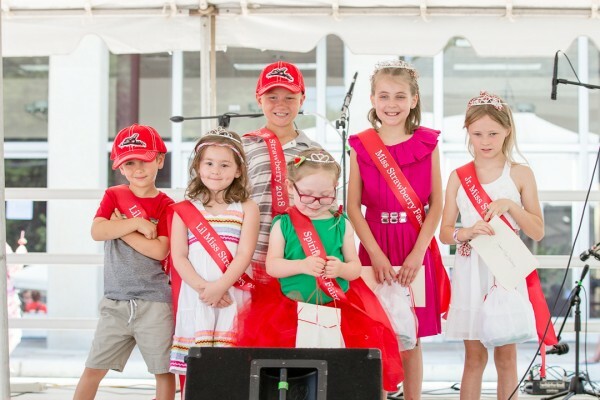 Pageant registration deadline is June 1, 2019. 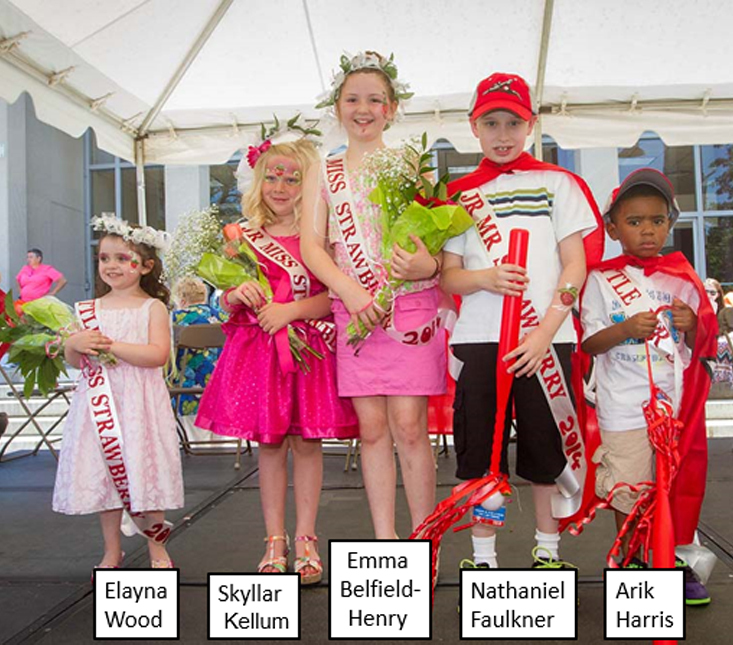 From L to R: “Little Mister Strawberry” Marcos Mowry, “Little Miss Strawberry” Kerri Waters, “Junior Mister Strawberry” Trace Henry, “Spirit of the Faire” Matilda Womble, “Miss Strawberry” Maybelli Sumner, “Junior Miss Strawberry” Ellie Wilson.